There are some great cereal deals at Safeway this week! 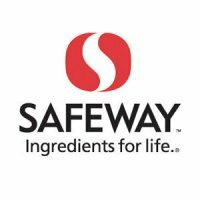 Be sure to use your Club Card to get the best deals and load coupons onto your card from Safeway.com in the Just4U section. Wednesday through Sunday only, get a $10 Reward Coupon when you spend $75 or more in a single transaction. The $75 is calculated after all card savings and discounts (including coupons). Your $10 Catalina will print at the register, and it’s good for one week from printing or by January 15th. Oscar Mayer Deli Fresh Lunchmeat is $2.49 with in-ad SuperCoupon/eCoupon, limit 5. Use $.50/1 eCoupon from Safeway.com. General Mills Fiber One Cereal and Bars (select varieties) are $1.99 with in-ad SuperCoupon/eCoupon, limit 4. Hot Pockets/Lean Pockets are $1.89 with in-ad SuperCoupon/eCoupon, limit 4. Betty Crocker Fruit Snacks 4.5-8oz are $1.49 with in-ad SuperCoupon/eCoupon, limit 5. General Mills Cheerios 14oz or Nature Valley Granola Bars 6.7-8.9oz are $1.79 each with in-ad SuperCoupon/eCoupon, limit 4. General Mills Honey Nut Cheerios (12.25oz), Golden Grahams (12oz), Total Whole Grain (10.6 oz) are $1.79 each with in-ad SuperCoupon/eCoupon, limit 4. General Mills Dulce De Leche Cheerios (10oz), Frosted Cinnamon Toast Crunch, Peanut Butter Cheerios are $1.99 each with in-ad SuperCoupon/eCoupon, limit 4. Next Post Two Free Zoya Nail Polishes!